There are many ways artificial intelligence (AI) and machine learning can make our world more productive and effective. There are even breweries that are using AI to enhance beer production. Is this brilliant or unbelievable? While it’s admittedly too soon to tell, using data to inform brewmasters’ decisions and the possibility of personalised brews makes AI-brewed beer definitely intriguing. IntelligentX creates four different varieties of beer—Black AI, Golden AI, Pale AI, and Amber AI. They ask customers to follow the URL link provided on the bottles to give their feedback through the Facebook Messenger app about the beer they try. By answering a series of 10 questions, the 80 percent of customers who have followed the link have given the company more than 100,000 data points. This data is processed by an AI algorithm, and then the brewer decides whether or not to heed the algorithm's advice. Instead of replacing a brewmaster, Leith and McInerney believe AI gives insights to help a brewmaster be better equipped to make decisions based on customer feedback. Ultimately, once the company is able to scale, it could be possible to order a beer based on a recipe customised to your preferences. Carlsberg, a Copenhagen-based brewery, began a multimillion-dollar three-year Beer Fingerprinting Project in partnership with Microsoft, Aarhus University and the Technical University of Denmark. Each day, they create 1,000 different beer samples and hope the Beer Fingerprinting Project will change the way new beers are created. The project uses sensors that can determine the flavour fingerprint of each sample and analyse different yeasts. The data is collected by an AI system, and it is ultimately expected that new brews will be developed from the information. Not only does the system allow products to get to market faster it can also help ensure the highest quality. Another brewer, this one in Virginia, uses machine learning to develop the perfect IPA. Champion Brewing company teamed up with machine learning company Metis Machine in an effort to brew their new ML IPA (yes, the ML stands for machine learning). The first step in the process was to input information about the ten best-selling IPAs nationally as well as data on the ten worst-selling brands. Then, based on the data, the algorithm determined the best recipe to become the nation's best IPA. Data was also leaned on in another AI-beer brewing endeavour. This experiment combined publicly available Brewdog beer recipes and beer ratings from Untapped to create and train an artificial neural beer network. The network would then be used to evaluate new beer recipes and determine which ones were more likely to get high ratings. 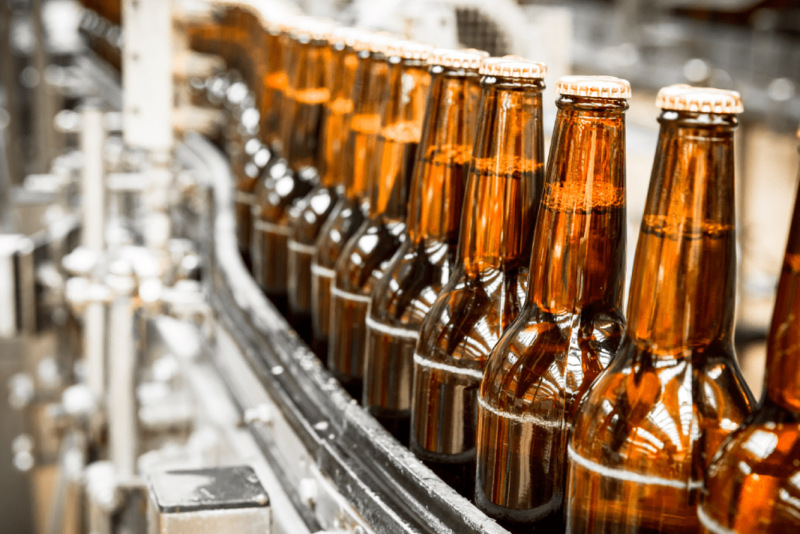 This experiment concluded that AI could be a powerful tool to help a human brewer develop new beers or optimise existing ones, but wouldn’t take the place of humans. It turns out the foam on a freshly poured beer affects people's enjoyment of it. To determine what makes a perfect foam, an Australian research team created RoboBEER, a robot who can pour a beer with such precision to create consistent foam pour after pour. The researchers created a video of RoboBEER pouring a beer and tracked the bubble size, beer colour, and other attributes and then showed the video to research participants and asked for participant feedback regarding their thoughts on the clarity and quality of the beer. The researchers also taped their reaction as they watched RoboBEER pour. An AI machine analysed the biometric factors recorded from the research participants as they watched the video. There were 28 pieces of RoboBEER and biometric data for each viewer that were fed to a neural network to determine what they thought about the beer without having them actually taste the beer or complete a lengthy questionnaire. The neural network was able to predict within 80 percent accuracy whether someone liked a beer's foam height. The team also found that they could predict with 90 percent accuracy a beer's likability just using the RoboBEER data.